Period of creation 2008-09-03 to 29. Duration 3 min 53 sec. Commission / occasion Commissioned by the Swedish Wind Ensemble in Stockholm (Swe). The musical idea behind the piece is a confrontation of two different playing techniques: 20 “tutti players” sit on stage and play repeated staccato chords, 11 soloists surround the audience and play glissandi. Both elements can be heard as rem­i­nis­cences of dance music. In the very beginning of the piece, a high density of staccato chords is dominating a low number of long glissandi. The density of the staccato chords is gradually decreasing, the number and the shortness of the glissandi are simultaneously increasing. This leads to a clear dominance of the glissandi towards the golden section. From then on, this linear deve­lop­ment is in­versed causing a high density of staccato chords in the very end. 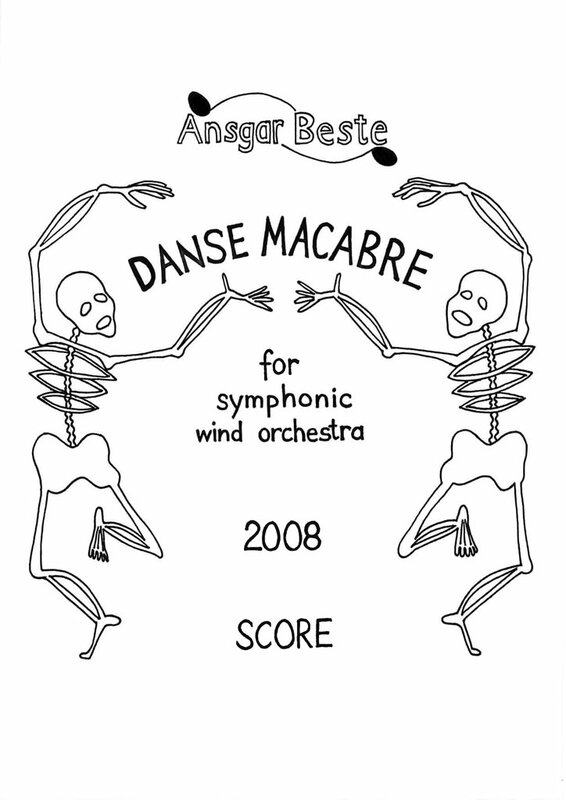 As a result, an irregular rhythmical setting gives the dance a “macabre” character which is intensified by loud dynamics and partly extreme registers.